Promote an investment handbook, new loan terms and conditions or the benefits of having a bank account. Choose the right template and graphics to increase landing page conversion rates. 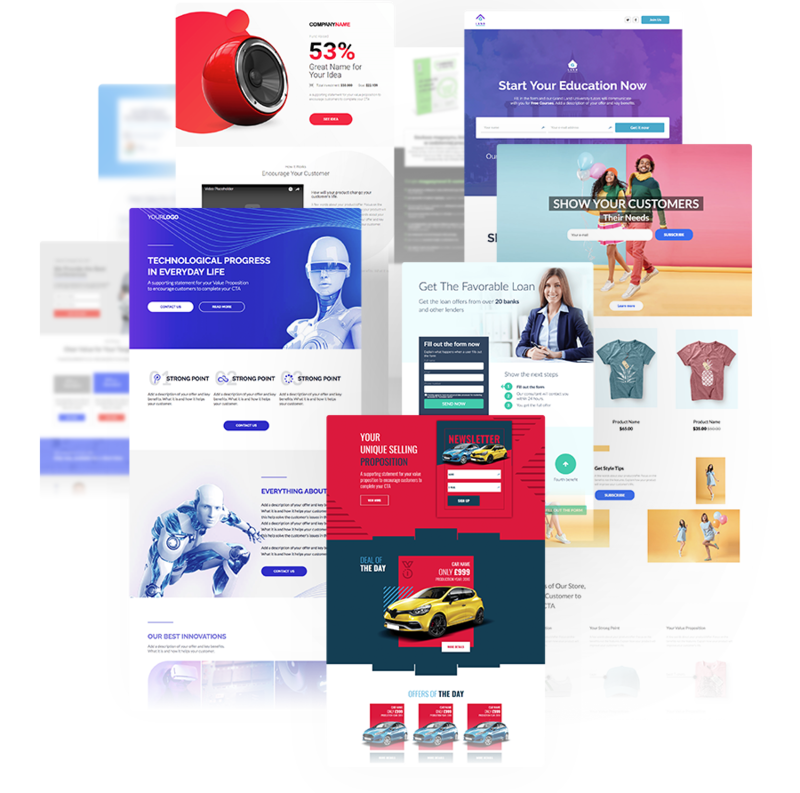 Financial products are a demanding part of many companies’ portfolios, so they require certain branding sensitivity when it comes to landing page design. Convert new leads with our fully customizable templates.